Cherry Overdrive recorded these three songs during the summer of 2005 with now legendary Copenhagen rock and roll producer Ralph Rjeily (Columbian Neckties, Sandman, On Trial, Gas Giant, Baby Woodrose). The three tracks represented here all have a very different sound to them and a very special production. I am really amazed at how different the sound is when you hear this CD on a computer or your real stereo or in the car (Some place it sounds great, others awful). The CD begins with the hard driving "Hit the Right Note". "Did You? ", the middle track, is the highlight of the EP with a great moody track. "Toy Boy" is a real bass driven catchy rock and roll song, with a buried guitar and out front vocals. Cool song. While I have a bit of a problem with the sound, I can still recognize some damn cool garagy rock and roll by 4 damn cool chicks! 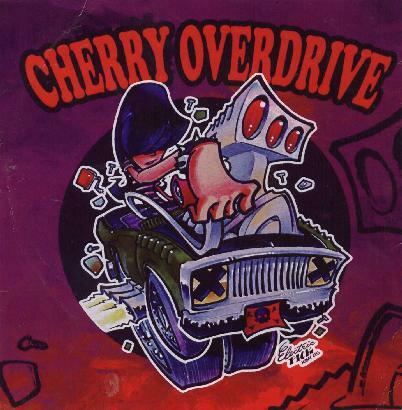 For more information you can visit the Cherry Overdrive web site at: http://www.cherryoverdrive.dk.